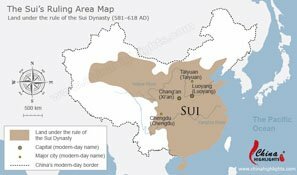 The Sui Dynasty (581–618) ruled over much of China, after uniting the four kingdoms of the Northern and Southern Dynasties (420–589). Reminiscent of the Qin Empire, it was a short, intense dynasty, with great conquests and achievements. It&apos;s considered with the following Tang Dynasty (618–907) as a great Chinese era. One of the generals of the Northern Zhou&apos;s army was Yang Zhong, the Duke of Sui. After Yang Zhong died, his son Yang Jian inherited his father&apos;s title, and usurped the throne in 581 by military coup. Yang Jian adopted the title Emperor Wen, and took over the Northern Zhou kingdom, renaming it the Sui Dynasty. It&apos;s very rare that emperors in China have such a lasting effect as Emperor Wen. The Chen empire was to the southeast and the big Yangtze River was a natural boundary. It is said that Emperor Wen sent about 500,000 troops across the Yangtze River in 588. 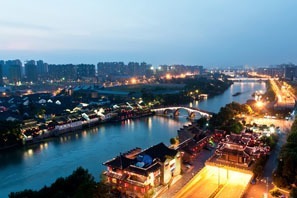 In 589, he conquered the Chen empire&apos;s capital, Jiankang, which is now called Nanjing. 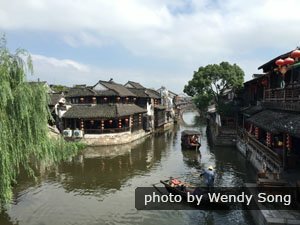 He made Luoyang his capital and he started to build the Grand Canal to help develop his new capital. However, he didn&apos;t finish building it and then died. His son, Yang Guang, continued to work on the Grand Canal and finished it. 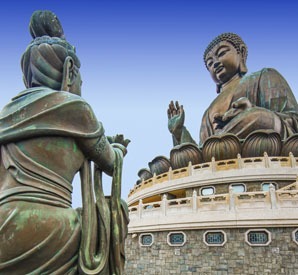 "All the people within the four seas may, without exception, develop enlightenment and together cultivate fortunate karma, bringing it to pass that present existences will lead to happy future lives, that the sustained creation of good causation will carry us one and all up to wondrous enlightenment." During the Han era, educated Confucian bureaucrats ruled the Western Han empire. Their influence waned in the Eastern Han empire, and they didn&apos;t rule in the Northern Zhou state. Emperor Yang ruled for 14 years from 604 to 618, and continued his father&apos;s policies of installing a Confucian bureaucracy, starting wars, and carrying out major construction projects. However, he exhausted the empire&apos;s resources with these projects, and the people rebelled. He was even more like the First Emperor than his father, and he was also known for expending a lot of money on luxuries. Although building the canal impoverished his own empire, the relative ease of traveling across it added to the Tang empire&apos;s prosperity. The Grand Canal is the world&apos;s longest canal and artificial river. 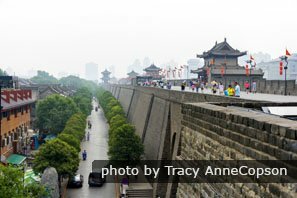 It extended from the merchant city of Hangzhou in the south, across the Yangtze River, and up to Luoyang, which was the capital of the empire. 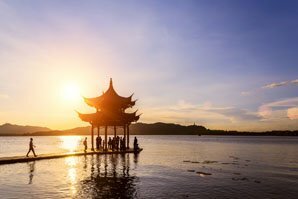 See the Grand Canal in Hangzhou and the Grand Canal in Suzhou where it is at its best, in China&apos;s Yangtze Delta area of ancient water towns. 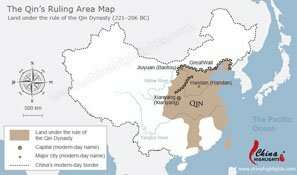 Just as the Qin Dynasty did, the Sui Dynasty united China after a period of warring kingdoms, then used the people to carry out huge construction projects and fight large-scale wars to invade other countries. 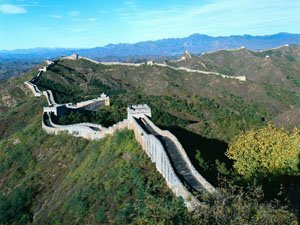 Qin&apos;s Great Wall and Sui&apos;s Grand Canal ranked among the world&apos;s greatest feats of engineering at the time. 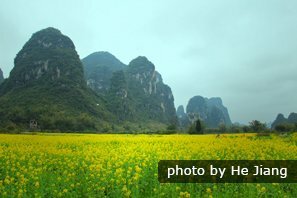 See more China tours or let us tailor-make a history tour for you, according to your interests and requirements.